What is sin? Such a sticky subject. The politically correct thing to do is let each person decide for themselves what is and is not a sin. But that won't stand before a Holy God. 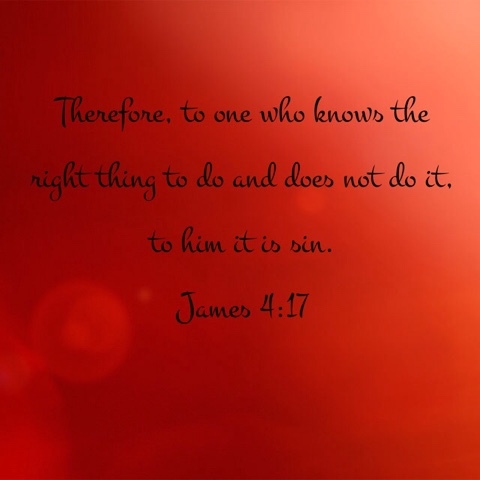 One definition in James is that sin is knowing the right thing to do but not doing it. Some call this the sin of omission. I didn't really do anything wrong ... but I didn't do that right thing I knew I should. Sin is from the enemy. Make no mistake. Sin keeps us from relationship with God and each other. Sin is a master. We don't like to admit that, but it is true. When we let sin rule in our lives we are letting the devil be our master instead of God. Traps are carefully laid at our feet and we stumble into them and don't realize we are bitten until it hurts. Sin in our lives renders us ineffective and deaf. God has given us parameters for how to behave. He didn't do this because He gets some kind of glorified pleasure from telling us what to do! He created us. He has a plan for us and He knows what is in our best interest and what is not so He gave us laws. I think most of us with children understand this. When we disobey Him we are sinning. Why is this important? Why should you care what God has said is sin and worry if you are doing it or not? Since has consequences. Ultimately, sin will have to be paid with death. God made a way for our sin to be paid for with His son's death. Our sins can be forgiven and wiped away as if they've never happened. Or, we can choose the unforgivable sin of rejecting that gift and receive eternal damnation as a consequences. When we let sin in ... as I said before it becomes our master. When we hear that Jesus came to set us free, we may scoff and say "Free from what?" From sin. Our eyes may not be open to it, but without Jesus' sacrifice we are slave to our sins. Ask any addict. Even if you choose right now not to believe in sin ... think about it. Is there something wrong that you have done more than once? Perhaps you don't even want to but it still happens. 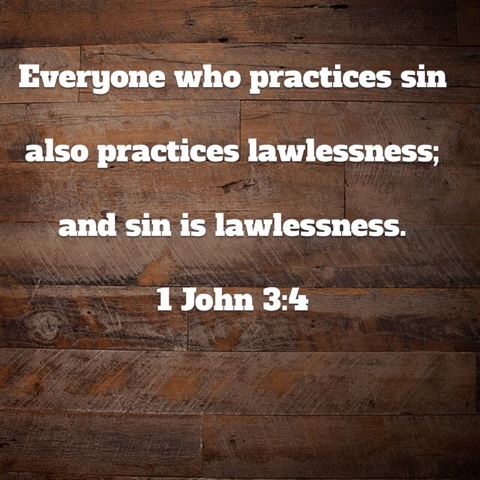 I would argue that sin has you SO captive you don't want to believe that it is an affront to a living God. He loves us so much even as we disobey Him that He sent His own son to pay our pentality. 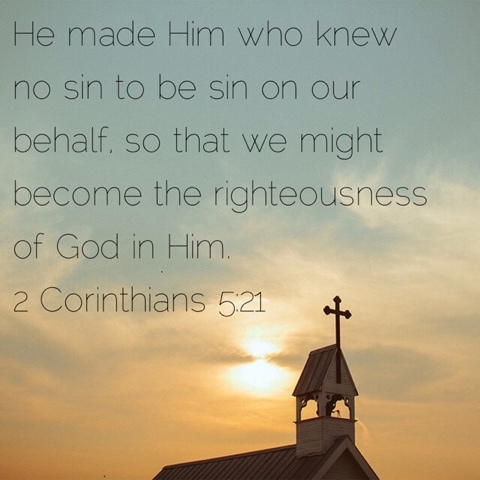 Jesus died for all our sins so that we could be made righteous so we could have a relationship with God again. In the end ... that ugly, deadly sin that the serpent made so appealing ... is defeated.